I've been growing my hair out for about 9 years! I finally told my friend Leanne, (the PROUD new owner of Sirocco Hair), that I thought I was up for a big change and she was over the moon. The truth came out on how she really felt about my day to day ponytail style, and we had a really good laugh about it. I've known her for years and she has primarily just seen the same old style. 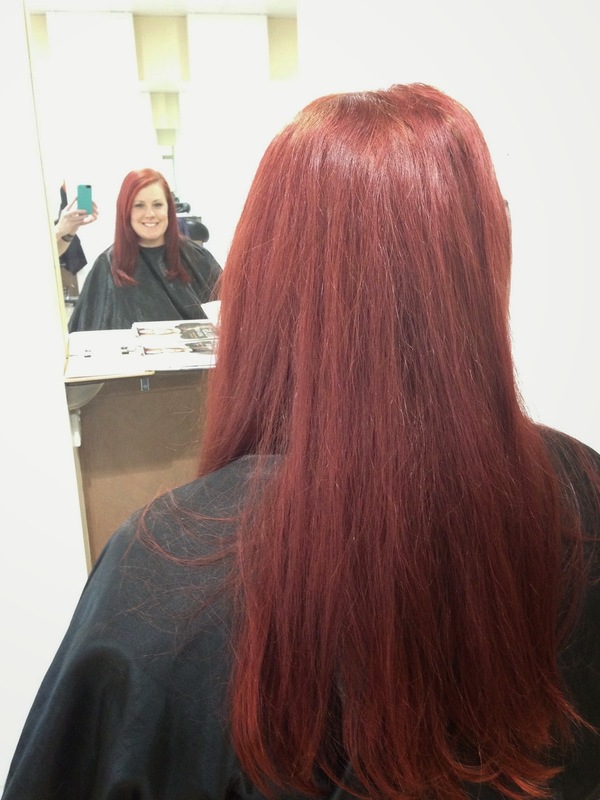 She did help me go red a couple years ago though, proving I can change! HA! 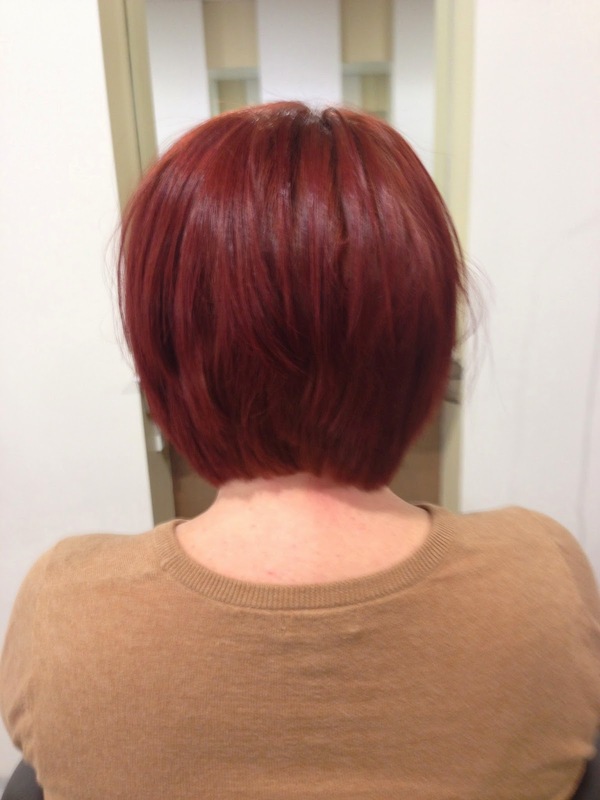 So last week I headed over to her salon and went for a short, concave style. She's a real master! She's particularly great at cutting my naturally curly thick locks. Have a look through the pictures. She styled the end results in two different ways. Funny Side Story: I love a good prank. When David came home from work that night, in the dark, he reached into the mailbox only to pull back in shock and terror. He had just laid his hand on my chopped off ponytail. It completely freaked him out. All done! I love it. I've styled it on my own since then and I think I did alright. I am really surprised by the minimal upkeep. I thought that with my wild hair it might sit funny when I style it because I don't blow dry hair like Leanne but it's all good. 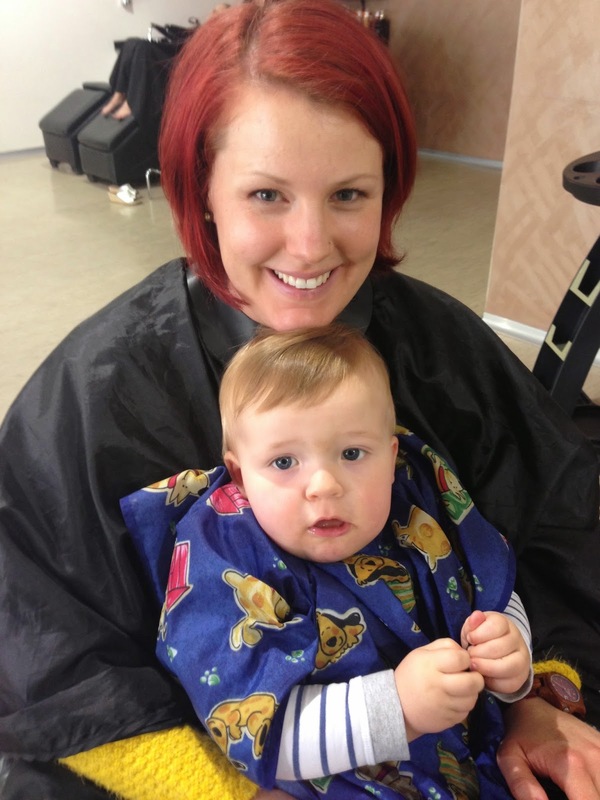 We went back a few days later and Charlie had his first hair cut! His hair cut started off fine, but after about 3 minutes Charlie got a bit fussy. Leanne was FANTASTIC with him. She managed his sudden movements with so much ease, and she was great at distracting and being playful with him. She's such a natural with kids, and it probably helps she has a couple of her own. I tried to help distract him by making udders. Obviously, I was really successful. Bahaha! Are you ready for a change? Sirocco Hair, located in Newcastle - NSW, is offering you the chance to win a Shampoo, Blow dry and Restyle (valued at $75.00). 1. Tell us why you are ready for a change of hair style (*doesn't have to be as drastic as mine) in the blog comments below or leave a comment on the Sirocco Hair post that's on the Peachy Keen Mumma Facebook page. Judge's decision is final. Good luck! 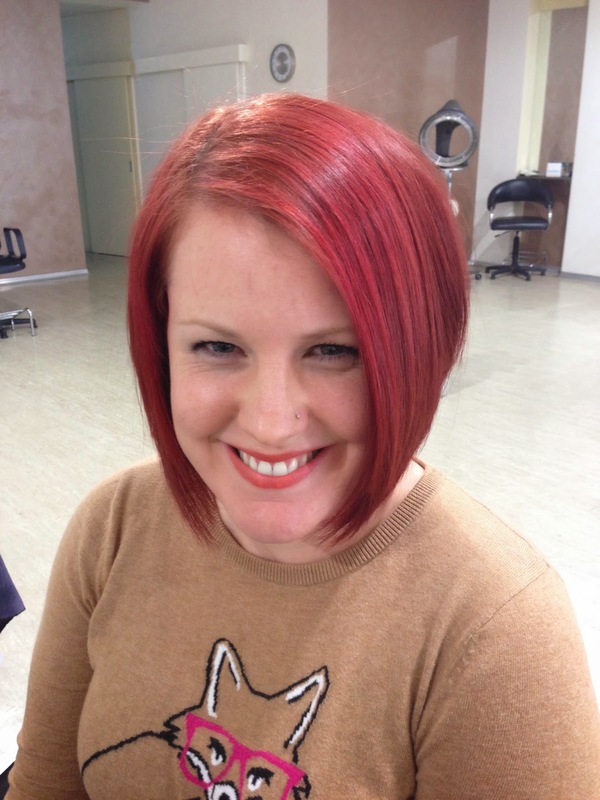 The winner of the $75 Restyle Cut with Sirocco Hair and Beauty, Newcastle is Kate! Congratulations! 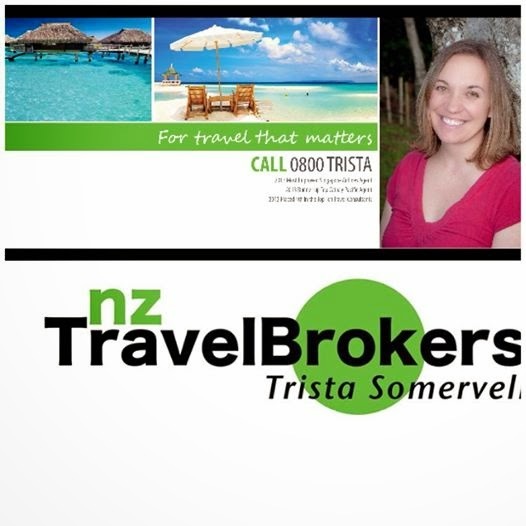 And it doesn't stop there - Our (unbiased) judge Trista from NZ Travel Brokers had a tough time deciding on a winner because the entry from Aimee also caught her eye. Trista was very touched by Aimee's mum's story (on PKM's Facebook page) and would like to sponsor Aimee's mum with $50 towards a new cut at Sirocco. But wait there's more (haha) Sirocco is offering any of my readers 25% off when they mention me at their first hair cut! Yay!!!! Thank you for your generosity Trista! 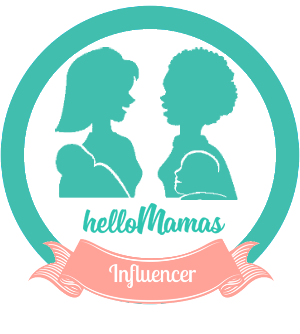 *Full disclosure: Peachy Keen Mumma was not paid for this blog post, nor was I paid in kind through services provided. I just want to support my friend and entrepreneur in her new business venture; she's amazing at what she does! I don't live in Newcastle, or anywhere close, but I wanted to say ... Wow, the new look really suits you. Looks great. Yay, Siann! Best of luck! Thank you so much! Really appreciate it. My husband struggles with me wanting short hair, but I needed to do this for ME! I think I might grow it to just above my shoulders too? I'm not sure. Your hair looks great and it suits you! I love the red too. Every now and then I get daring and chop off my hair. I have thick hair too and at the moment I am growing it back out after having a side swept fringe. 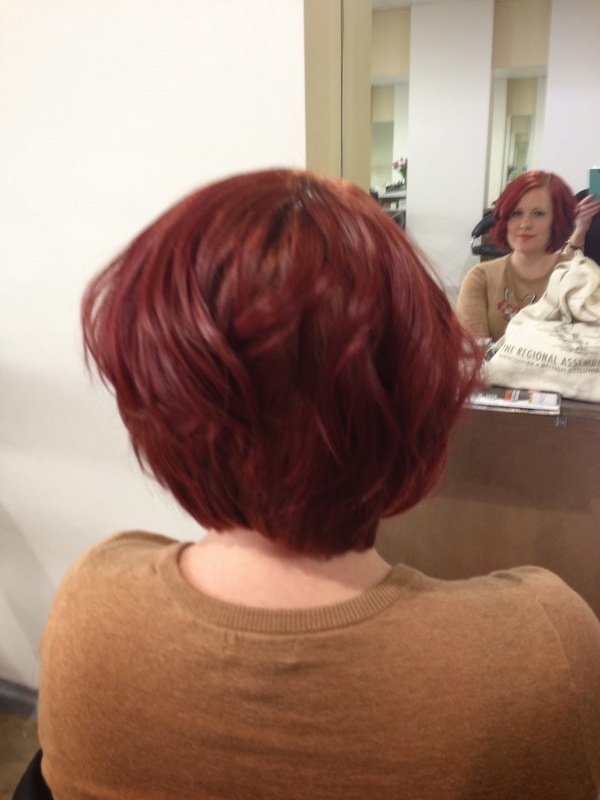 I had a nice vibrant red in there last year but the upkeep for it was such a hassle. Very cool cut! I used to have short hair but now I have very long hair that kind of hangs there and does nothing. I need a change. Love your bold colour! Love the new look Jess! And poor Charlie! He doesn't look a happy bear. I've been growing my hair for the past 12 months, and I sometimes think I should just cut it off. 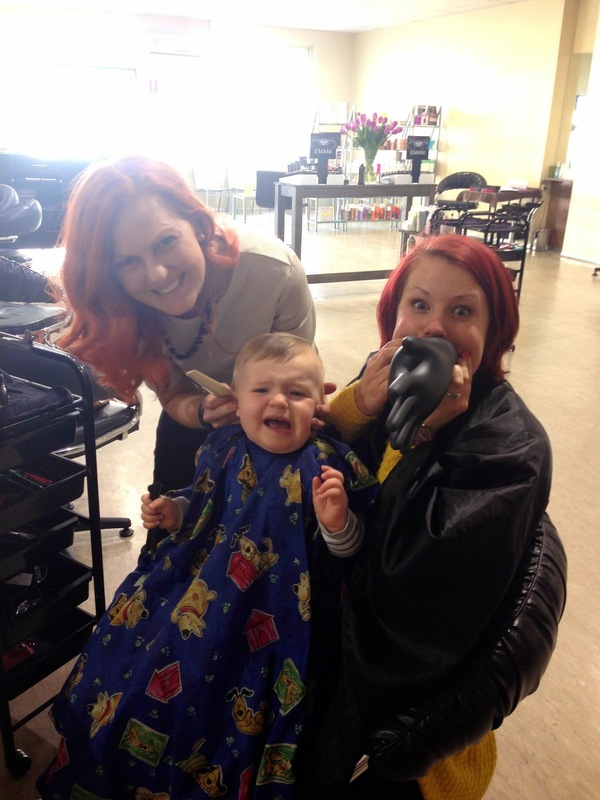 But my hairdresser of at least 20 years has had a baby, and I haven't found someone yet I really trust to do the job. So it keeps on growing......maybe your hairdresser is the one to do it! It looks fantastic! This almost makes me want to cut mine off. In a few months from now I have my yr 12 graduation formal. With the pressure of the HSC I will be ripping out my hair! (metaphorically) But with the starting of this new and adventurous chapter in my life I would love for my hair to represent me as a growing individual. If I have my hair re-styled after schooling and exams and in time for the formal I know I will give everyone not only a pleasant surprise but also the impression that I can successfully move from being a child in school to a changing, growing adult. I could use a hair cut because I'm lucky to have a trim once a year :-) last cut was in December and before that was after my wedding in September 2012! I also have horrible frizzy curls ewwwwww. Plus I also sport the mum ponytail or bun every day. i know what you're trying to say here. HA!!! Thanks heaps. I really was genuinely worried that I looked older with the short hair. I actually do when it dries curly. It's a bit reminiscent of a grandmother's perm then. Oh well. That's why God created straighteners. DO IT!!! All the cool mum's are doing it Jess. It allows more time for mopping because it's so easy to do nothing to it. Thank you so much. I am relieved to hear you say it's cool! PHEW! I was worried what short thick hair on me would mean. Was thinking it would be an afro situation! He loved the first few minutes though. Oh what we do to entertain our kids (PLEASE shut up!!!). Thank you so much for the compliments. I do feel like I have to have it dyed all the freaking time!! BUT in reality it's more like every 6-8 weeks. The roots get pretty shocking. GO dark. I used to be sandy blonde. 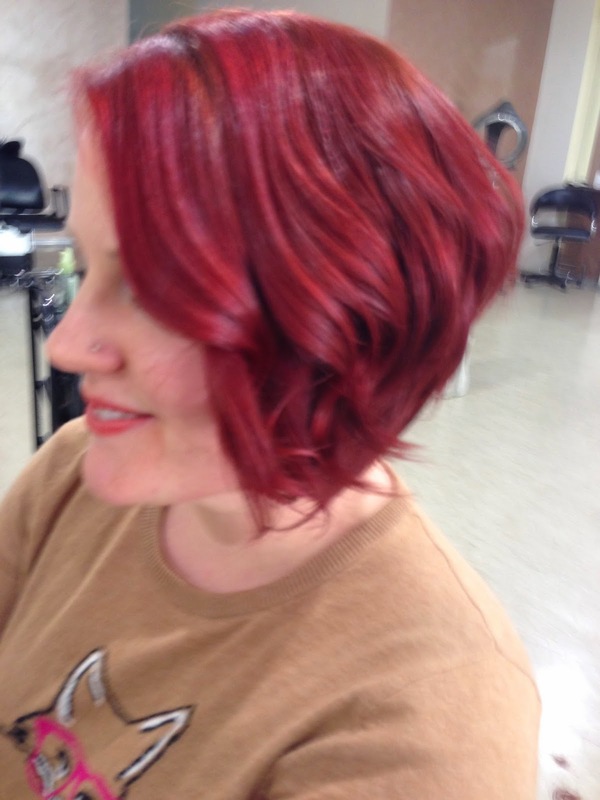 I have been red for about two years and love it!